Millennials are creatives. Now, you could have one of three reactions to that statement. 'YES!' or 'I wish.' or 'Heck no.' Obviously I wouldn't be writing this blog if I didn't agree with that first ecstatic expression of solidarity. Yes. I believe that creativity is in our DNA. I believe that not only are all Millennials capable of creative feats but we are one of the most creative generations yet. 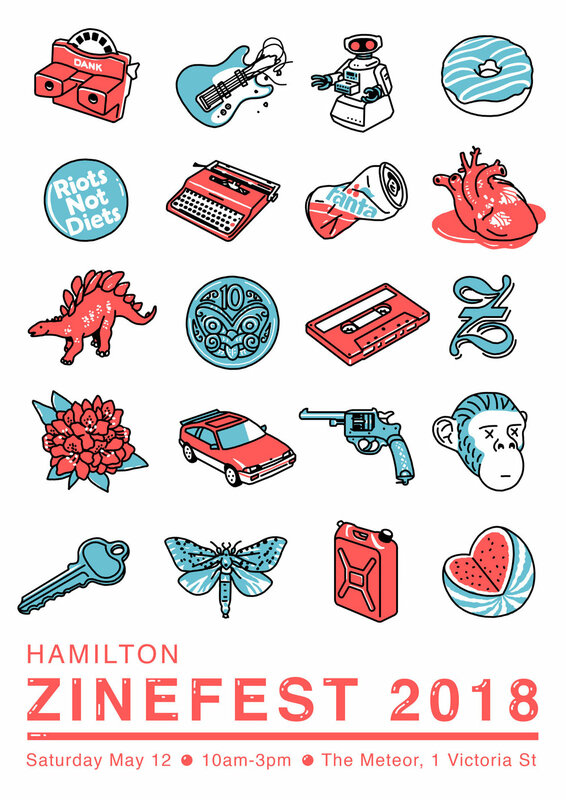 And I do have evidence to back up my enthusiasm: the upcoming Hamilton Zinefest. First, let's start with what creativity is not. So what is creativity about? A unique perspective on the world. We've got that in spades. We've got that just by the fact that we are alive. The other day a friend and I went on a walk and we each had completely different ways of describing the sky. We both looked up and saw the same beauty but had different ways of expressing it. That happens a lot because we are human. That is something worth celebrating. Ownership. It's one thing to recognize that you see the world a little differently from the person next to you. The next step is owning that perspective. Not only that, but it is about owning the ways you express your vision. Whether it's through poetry, music, photography, or painting. Whether you problem solve, take pride in colour coding your calendar, or love to find new and better routes to random destinations. Whether you are dabble in coding, can appreciate the symmetry of a good equation, or you can put a car back together. Own it. Those are your talents, your joys, and your interests. They are creative. A little effort. Be curious. Learn. Challenge yourself. They're all essential to being creative because being creative means changing it up. Then practicing. Then improving. Then starting the cycle anew. Joy. Do your thing. Have fun. Enough said. I don't think that needs more explanation and this post is already longer than I thought it was going to be. This is a great time to be a creative. The gatekeepers are gone. Artists are no longer only those who have their work featured in galleries. Writers are no longer only those aligned with a major publisher or periodical. Musicians are no longer only those lucky enough to get signed by a record label. I think this redefinition of success can also help us to redefine creativity. It's also a great chance for us to share all our diverse creative projects and to celebrate the talent that surrounds us. Hamilton Zinefest: DIY creativity at its best. Hamilton Zinefest does just that. This one day market (which is TOMORROW) is a celebration of self-publishing and the indie spirit. It's about a bunch of cool people getting together to champion unique visions, own their eclectic interests, and show off their hard work. It's also just plain fun. Featuring creator talks from the likes of Zee Southcombe and Ross Murray, this really is an unmissable event in the Creative Waikato calendar. Feel like unleashing your undercover creative? Then go to Hamilton Zinefest tomorrow. Seriously. Go. I even up the poster up and everything. Come along to The Creators' Friday meet up and be blown away by the talent that's spread around the Waikato. Check out the amazing smorgasbord of visual awesomeness that is on show at Hamilton's own Weasel Gallery. Follow my poetry account on Instagram for a weekly dose of creative (and random) musings that I write as inspired by the awesome region we live in and the people in it. Support an up and coming Kiwi, the Grammy nominated Gladius James on SoundCloud. His latest song, "Rich" features Wiz Khalifa. Have a little project you've been putting off? Why not get started this weekend? Try something new. Do your creative thing. Older PostWe want to hear you.